The comprehensive publication presents a selection of texts and images closely related to the permanent exhibition. The Solidarity story in this anthology is built of the accounts of those directly involved in the events, juxtaposed with an iconography portraying the great metamorphosis which has occurred since–one in which politics has become a natural element of daily life. Accompanying the accounts are classic articles dedicated to the history and culture of the opposition, as well as lesser-known essays, articles and historical documents; the main thread running through these being the socio- political changes of the 1970s and 1980s, not only in Poland but in Central and Eastern Europe as a whole. 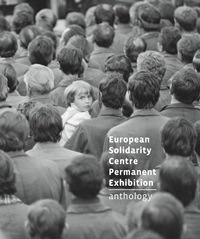 The materials collected here–mainly brought together and previously published by the European Solidarity Centresum up the scientific, publishing and archiving work carried out so far by that institution.